Climbing up and down a ladder to clean your guttering system on your own can be potentially dangerous, especially if you lack experience. That is why taking advantage of the specialist gutter cleaning services we offer in Earls Court and the nearby boroughs is the best way to go. Not only will we save you lots of time and efforts, but will also get the job done the right way. There is no need to stress over pricing – our rates are easy on any budget, big or small. Our friendly call centre assistants will be glad to hear from you. Don’t wait – call today for a free quote and an appointment. 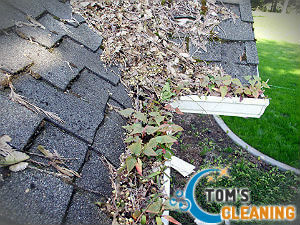 Most water damages result from poorly maintained gutters. Over time, debris tends to build up which can lead to severe blockages and even sagging of the gutters themselves. If left unattended, your gutters will soon start leaking, causing flooding, mould formation, and even cracks in your home’s foundations. 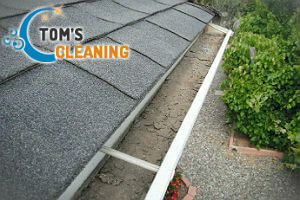 The surest way to prevent this is to hire a professional company for your gutter cleaning job. Our team can pay you a visit at a convenient time to assess the condition of your guttering system. Provided that you find our prices suitable, the team will proceed to clean the gutters, using the advanced gutter vacuuming system we have invested in. This wet/dry vacuum cleaner has a long, telescopic pole attached at one end. The pole extends to reach upper-storey gutters and has a small digital camera, which allows the team to take a peek inside your downpipes. We are proud of our work, so the operatives will be more than happy to show you the results once the clean is over. Post-cleaning pictures will be taken with the pole camera so that you can see the results. When it comes to quality and pricing, no other company in Earls Court, SW5 can beat the gutter cleaning services we provide!